Josh Adams is the Senior System Engineer & ColdFusion Specialist at Adobe Systems Incorporated. In this role, Josh is actively involved with ColdFusion customers and the ColdFusion community. Josh is passionate about ColdFusion and the ColdFusion community: he has presented to User Groups and conferences throughout North America and is a longtime member, past President, and current Director of the Atlanta ColdFusion User Group. Adobe revolutionizes how the world engages with ideas and information. For more than two decades, the company's award-winning technologies and software have redefined business, entertainment, and personal communications by setting new standards for producing and delivering content that engages people anywhere at anytime. From rich images in print, video, and film to dynamic digital content for a variety of media, the impact of Adobe solutions is clear to anyone who creates, views, and interacts with information. Now that Adobe and Macromedia are one company, Adobe is better positioned than ever to push the boundaries of the digital universe. Under the new combined leadership from both Adobe and Macromedia, we're driving even greater innovation with powerful, compelling software solutions that meet the needs of customers and markets ranging from designers and filmmakers, to enterprises and governments, to developers and home users. Adobe continues to be deeply committed to the ColdFusion product and the long-time, loyal ColdFusion community. Now part of the Adobe product family, a world of new opportunities open up for the future of ColdFusion. This session has multiple speakers. Please see their profiles on the speaker bios page of this website. Clark Valberg is CEO of Epicenter Consulting, a New York City-based firm that creates strategic software for organizations that want to use the web to transform their businesses. Clark is a passionate advocate for "obsessively thorough software design" and is a founder of Interface Driven Architecture, a conversation between business leaders and software architects that offers a radically different way of determining and developing custom software. Clark is also the co-chair of the New York ColdFusion User Group. A veteran ColdFusion developer and troubleshooter since 1997, Charlie Arehart is a longtime contributor to the community and a recognized Adobe Community Expert. He's now an independent consultant providing troubleshooting/tuning assistance and training/mentoring for CF teams of all sizes and experience levels (carehart.org/consulting). A certified Advanced CF Developer and Instructor for CF 4 thru 8, he also runs the Online ColdFusion Meetup (coldfusionmeetup.com, an online CF user group), and is a contributor to each of the 3-volume series ColdFusion 8 WACK books by Ben Forta. A member of the Adobe Customer Advisory Board for ColdFusion and with 26+ years in IT, he's frequently invited to speak to developer conferences and user groups worldwide. John Paul Ashenfelter is CTO of TransitionPoint.com, where he builds web-based business applications using a mix of open source tools, ColdFusion, and Java. He has been the technical lead on a number of ColdFusion projects for startups as well as regularly serving as an architect for existing ColdFusion sites converting to Fusebox. A ColdFusion developer since version 2.0, John Paul has written several books covering ColdFusion, contributed articles to CFDJ, and spoken at several ColdFusion conferences. Selene Bainum is a Senior Web Developer with INPUT, the source for government market intelligence. Selene has 9 years of HTML and database experience. She has been developing with ColdFusion since version 1.5 (1996). She uses her knowledge of web technologies to design and develop enterprise web applications from the ground up. Over the years, she has created numerous practical and creative applications to meet the needs of many different organizations. These applications include fully functional e-commerce web sites, dynamic content management systems, an automated software fulfillment system and a Board of Directors Extranet for a Fortune 500 company. Selene has been very active in the ColdFusion community by being a member of Team Macromedia, contributing articles to the ColdFusion Developer's Journal and maintaining a ColdFusion tutorial site, WebTricks.com. She also co-authored two ColdFusion books for Sybex: Mastering ColdFusion MX and the ColdFusion MX Developer's Handbook. Peter Bell is a passionate advocate of Application Generation and meta-programming in ColdFusion and writes the popular Application Generation blog (http://www.pbell.com). He has lectured both locally and nationally on using ColdFusion for application generation and to create software product lines and runs a company (http://www.systemsforge.com) that generates custom applications quickly and cost effectively. Kelly Brown is the Chief Technology for AboutWeb. He has been doing Web application development for over 10 years and using Cold Fusion for 7 years. He has a BS and MS in Computer Science and is a Certified Advanced Cold Fusion 7 developer, MCSE+I, and MCDBA. Mike Brunt has been coding web applications since 1993 and began using ColdFusion at version 1.54 in 1995-6. He designed and created the first on-line international industrial equipment mart in 1997 (Power Bank International) at the request of a Cummins Engine Company subsidiary. In 1998 he worked with Kodak and Lucent Technologies to create a pioneering web based TeleRadiology cross-consult portal when Radiologists and Primary Care Physicians could review patient medical images. Allaire recruited Mike in 1999 to join a ColdFusion-JRun consulting team. This team was dispatched world-wide to help Allaire then Macromedia clients design and troubleshoot ColdFusion applications. In 2001 Mike co-founded his own company � Webapper Services LLC along with another Macromedia consultant, Patrick Quinn. From 1999 to the present day, Mike has been very focused on the server-side of ColdFusion helping users worldwide to troubleshoot applications and to create strategies which ensure Enterprise level ColdFusion applications can be scaled effectively and efficiently. Raymond Camden is the VP of Software Development for BroadChoice Inc. A long time ColdFusion user, Raymond has worked on numerous ColdFusion books including the ColdFusion Web Application Construction Kit and has contributed to the Fusion Authority Quarterly Update and the ColdFusion Developers Journal. He also presents at conferences and contributes to online webzines. He founded many community web sites including CFLib.org, ColdFusionPortal.org, ColdFusionCookbook.org and is the author of open source applications, including the popular BlogCFC blogging application. Raymond can be reached at his blog or via email at ray (at) camdenfamily.com. He is the happily married proud father of three kids and is somewhat of a Star Wars nut. Sandra Clark, an advanced Macromedia Certified ColdFusion developer, is a Senior Software Developer with the Constella Group in Bethesda, Maryland. She has contributed material to the ColdFusion 5.0 Certified Developer Study Guide published by Syngress Media/Osborne McGraw Hill and to the ColdFusion Developers Journal. She has also spoken at various CFUGS and ColdFusion User Conferences around the country. Sandra is an active proponent of applying accepted and proven web standards to development as a way of improving accessibility as well as making life easier on developers. She can be reached at sclark@constellagroup.com. Sandra also maintains a website and blog at http://www.shayna.com, where she shares information on CSS, Accessibility, Fusebox, Coldfusion and also offers training classes. Mike's role at Adobe is a Technical Account Manager responsible for enterprise level accounts that use LiveCycle, ColdFusion, JRun and Flex. In this role Mike works directly with corporate developers and system administrators as they build large scale web based applications. He started with Adobe in 1999 as part of Professional Services where he assisted customers with their performance tuning, load testing, architecture planning, code reviews, and customized training. Sean is currently Chief Technical Officer for Railo US. He has worked in IT for over twenty five years, starting out writing database systems and compilers then moving into mobile telecoms and finally into web development in 1997. Along the way, he worked on the ISO and ANSI C++ Standards committees for eight years and is a staunch advocate of software standards and best practice. Sean has championed and contributed to a number of CFML frameworks and was lead developer on Fusebox for two years. This will be Sean's sixth time as a CFUNITED speaker! I have been working with ColdFusion since 4.5 Express was released. Its been a pleasure to develop in a language that has grown to be so powerful. I had the luxury of working with Luis Majano, creator of Coldbox framework, back in 2004. A great educator and programmer. Who introduced me to my recent mentor, Rob Gonda, creator of AjxCFC. Another very talented and knowledgable resource. Like them, I share a passion for my work, and a pride in sharing it with the community. I have developed in mama's spagetti code, a handful of frameworks, and everything in between. O?uz Demirkap? started developing CGI web applications in 1994 and has been developing ColdFusion since 1997. He has either been CTOs or Senior Developer of many well known commercial and blue chip companies both in Turkey and Germany. He ran the CFTR � ColdFusion Turkey User Group for six years before moving to the US. He is a well known ColdFusion evangelist and has spoken at many user group meetings in Europe. His main areas of interest lie in ColdFusion, Flex, Frameworks technologies and L10N & i18N, CMS, portal, e-commerce solutions..
Michael Dinowitz has been programming in ColdFusion since early 1995 and it doesn't look like he's stopping any time soon. His accomplishments include: President and Head of RT&T (Research, Training & TroubleShooting) at House of Fusion, a ColdFusion consulting shop; Hosting the high volume CF-Talk list (as well as others) out of House of Fusion (www.houseoffusion.com); Publishing Fusion Authority, the House of Fusion Technical Magazine (www.fusionauthority.com); and many more activities that strengthen and advance the ColdFusion community. Mark has been programming Coldfusion since 1996, and even though he has had forays into Perl, ASP and PHP he is still loving every line of code he has crafted with ColdFusion, so much so that he decided to be part of the CFEclipse team and build an even better editor to write CF with. As a day job he is Product Manager at Design UK http://www.designuk.com, a London based agency providing ecommerce, content managament, CRM and creative marketing solutions to some of the rather more well known high street stores. Apart from this Mark still has time to develop CFEclipse (http://www.cfeclipse.org) and blog about coldfusion and related subjects over at http://www.markdrew.co.uk/blog/. Mark is also co-manager of the UKCFUG http://www.ukcfug.org and has spoken on a number of subjects including ORMs, Frameworks and CFEclipse. A Longtime ColdFusion and Java programmer, Marc is currently working in the brokerage industry building custom print-on-demand and workflow software. He is a co-owner of the MXUnit Unit Testing Framework for ColdFusion. His primary professional interests, aside from programming, are process automation and improvement and automated testing. I have been building web applications with ColdFusion since version 3.1., before that I wrote Perl but ColdFusion had me at cfquery. Since January 2007 I have been the Director of Engineering at Interfolio, a portfolio and dossier company based in Washington, DC. In my career I have worked for associations, consulting firms and the federal government building basic to mission critical applications. I blog about ColdFusion, and occasionally other topics, at samfarmer.com. He has done work as a Flight Simulator tech. to a web developer. Over the years his projects have been used by Apple, Blue Cross, Brunswick Pro Bowlers Association, Haworth, Johnson Controls, Seiko and Sprint to name a few. He has been working with computer programming since the late 70s. He has developed enterprise grade commerce to cXML sites for clients. SOS (Shared Open Source) is a special project he began while many others preparing for the Y2K collapse. His goal of SOS is making the experience better for developers, designers, site owner/managers and the users. SOS is the core application platform of his company projects at SOSensible. Tyler has been a ColdFusion developer for 8 years, the last 3 working on the Macromedia and now Adobe Online Store. He has a BS in Computing Science which focused on data management and database design. He now applies that knowledge with CF component models for managing the Adobe Store content. Tyler has presented at Macromedia's DevCon 2002 conference in Orlando, the Bay Area CFUG and the Portland CFUG which he managed before working moving to work for Macromedia. Ben Forta is Adobe's Senior Product Evangelist, and has over two decades of experience in the computer industry in product development, support, training, and marketing. Ben is the author of the best-selling ColdFusion Web Application Construction Kit. Gert Franz was born in 1967 and lives in Switzerland since 1998, somewhere next to Z�rich. He's one of the founders of Railo Technologies GmbH and accompanied the development from when it started back in 2001. Next to the development of Railo he worked as a system engineer where one of his favorite web projects was for instance www.zinodavidoff.com. He's addicted to problem solving, performance and database tuning (especially SQL Server). Gert is a father of three and boyfriend of one. As far as I can remember, he has studied physics in Munich some (many :-) years ago. Simon works at Nylon Technology as a Senior Developer and Lead Engineer on several high profile projects. These range from a start-up athlete skin care shopping cart application to a full blown CMS requiring multiple workflows for publishing and editing several types of content, to messaging and event management requiring the integration of a variety of different technologies including ColdFusion, Flex, InDesign, Air and Blaze DS / LiveCycle DS. Constantly learning, Simon is always looking for new challenges and reports those discoveries on his blog http://www.simonfree.com. Pete Freitag, President and Owner of Foundeo, Inc., has been a web developer specializing in ColdFusion since the mid '90s. Prior to starting his own company, Pete co-authored The ColdFusion MX Developer's Cookbook in 2003 and worked as CTO at ActivSoftware. At Foundeo, Pete provides consulting services, constructs web sites, develops products for web developers, and writes for his blog at www.petefreitag.com. Shlomy Gantz is the President and founder of BlueBrick Inc. He has over a decade of management experience in the hi-tech industry, and an extensive background in application development, database integration and project management. He works with Fortune 500 companies around the world. He frequently presents in technology and management conferences and various user groups across US and Europe. Prior to founding BlueBrick, Mr. Gantz was a Senior Consultant for Computer Horizons, working for some of the nation's major airlines. Mr. Gantz was also the co-founder and vice president of technology for CoreActive ACG, a leading provider of web based solutions. Specializing in web design and development, Joe has been employed by and worked with large corporations as well as small businesses and nonprofits. This experience has allowed him to successfully thrive within varying business cultures. Currently Joe works in the educational field as a Web Application Developer for Judson ISD in San Antonio, TX. On a personal note, Joe has been married to his beautiful wife LeeAnn for over seven years, with five lovely children. Hal Helms is a well-known speaker/writer/strategist on software development issues. Hal has a monthly column in "ColdFusion Developer's Journal" and has written and contributed to several books. His latest book is "Discovering CFCs" available at www.techspedition.com. Hal holds training sessions on Java, ColdFusion, and software development processes. He is the author of the popular "Occasional Newsletter" series. For more information, contact him at hal@techspedition.com or see his website, www.halhelms.com. Mr. Honick is Chief Executive Officer of HostMySite.com. He co-founded HostMySite with business partner and Chief Technology Officer Neil Heuer in 1997. Lou created HostMySite.com as a remedy for dissatisfaction with the poor customer service he received from Web hosting companies who were in charge of their websites. Honick has grown HostMySite.com from a two-man operation to one of the top Web Hosting companies, serving over 60,000 customers in 130 countries and employing over 200 professionals in Newark, Delaware. A graduate of the University of Delaware with a Bachelor's degree in Computer Science, Honick started his career as a consultant at Computer Sciences Corporation (CSC). A decade later, Honick works to ensure that HostMySite.com continues to flourish and uphold its core value; that great customer service builds a great business. Lou speaks and blogs extensively about the importance customer service to contemporary business. Simon Horwith has been designing web-enabled enterprise applications for over a decade and is the CTO at Nylon Technology, a New York City based software development company. As a hands-on IT Executive and journalist, he observes, predicts, and offers commentary on trends in technology. As a developer, he enjoys facing the challenges associated with creating tomorrow's software today. Simon is an Adobe Certified Master Instructor, is a Member of the Adobe Community Expert Program, and served as Editor-in-Chief of ColdFusion Developer's Journal for several years. In addition to managing the New York Flex User Group and presenting at user groups and conferences around the world, Simon has also been a contributing author of several books and technical papers. You can read his blog at http://www.horwith.com. Adam has been published on ColdFusion and SQL development and maintains a professional web development blog, which features coding tips and approaches. He has spoken at the Gilbane Conference on Content Management and Web Content 2007 where he received the highest rating of the speakers for his presentation on Google Analytics and the Website Optimizer. Adam has been using Amazon's Web Services for over 6 months with his community running website WalkJogRun.net and is trying to start an Amazon Webservices Usergroup in the Chicago area. Doug Hughes is a veteran programmer and the president of Alagad Inc (http://www.alagad.com), a successful small business specializing in web and application development, services and consulting. Doug also publishes a popular blog covering ColdFusion and other technical topics at http://www.doughughes.net. Jeremy Kadlec is the Chief Technology Officer at Edgewood Solutions, a technology services company delivering full spectrum Microsoft SQL Server services in North America. Jeremy contributes to MSSQLTIPS.com, which is a SQL Server focused web site from Edgewood Solutions. In addition, he has authored numerous articles and white papers on various SQL Server topics, serves as an "Ask the Expert" at www.SearchSQLServer.com and delivers frequent presentations at regional SQL Server Users Groups and nationally at SQL PASS. Jeremy is the President of the Northern Virginia SQL Server Users Group. He is the author of The Rational Guide to IT Project Management which has been well received in the IT community. Jeremy holds a Master's Degree in Information Systems from The University of Maryland, Baltimore County (UMBC). Jeremy can be reached at 410.591.4683 and/or jeremyk (at) edgewoodsolutions.com. Andrew Kirkpatrick is Senior Product Manager for Accessibility at Adobe Systems. Andrew's team attends to accessibility issues with product teams across the Adobe product line and works with customers and standards groups, including representing Adobe on the TEITAC committee to develop new Section 508 standards and W3C accessibility working groups. Andrew is a frequent speaker and writer on accessibility including contributing chapters to Web Accessibility: Web Standards and Regulatory Compliance, a new book by Friends of ED. Andrew joined Macromedia in July 2005 from the WGBH National Center for Accessible Media where he was Director of Technology with a focus on accessibility research and consulting. Chandan is part of the core development team of ColdFusion for last two years and has been instrumental in building PDF manipulation features with cfpdf tag, server monitoring, cffeed and looks after several others including cfprint. Currently he is working on adding some very exciting features to ColdFusion language for Centaur. He is a graduate from Indian Institute of Technology. Adam Lehman is the ColdFusion Specialist at Adobe Systems Incorporated based out of Washington, DC. Prior to joining Adobe, Adam was the Senior Web Engineer for the U.S. Department of State where he managed a team of developers and architected enterprise ColdFusion-based applications. Adam also founded and managed the Department of State Adobe Developer User Group for over two years. His background also includes several years designing and programming e-learning applications for Johns Hopkins Bloomberg School of Public Health. Adam has been developing web applications specializing in ColdFusion for over a decade. His work has been featured in Macromedia's DRK (Developer Resource Kit) and his other areas of expertise include application security and Oracle database development. Jake has been developing ColdFusion based applications since ColdFusion 4. He is well known for building CFQuickDocs (http://cfquickdocs.com). He has given numerous presentations to various user groups, including the popular CF Meetup group. Jake is very passionate about the Internet, particularly about web standards and surrounding technologies. Phill Nacelli has been developing software for over 9 years, and has been using ColdFusion since version 4.5. He has engineered and developed multiple web based applications for the federal government, non-profit association/education market and enjoys playing with the latest in programming techniques, frameworks and development tools. Phill is very active in the ColdFusion community via contributing articles, user group presentations, community forums/chat rooms and his blog, www.phillnacelli.net. He currently holds a position as Software Architect at AboutWeb, a leading provider of technology and career development services to small businesses, corporations, associations and government agencies based in Rockville, MD. Phill can be reached by email at pnacelli@aboutweb.com. Nate Nelson is the President and founder of Xententia, Inc., a consulting firm out of Denver Colorado specializes in ColdFusion and database development. Through his career he has worked with several non-profit organizations and commercial corporations to architect applications to address many diverse needs. Nate has contributed to the ColdFusion Developers Journal. He speaks at ColdFusion conferences and is a Co-Manager and regular speaker at the Denver ColdFusion User Group. Nate enjoys sharing knowledge and adventures with both experienced and new developers. You can see his blog at www.natenelson.coldfusionjournal.com or you can reach him by email at nate@xententia.com. Steve Nelson has been developing with ColdFusion for the past decade. Many ColdFusion enthusiasts will recognize him as the creator of Fusebox, a popular application framework utilized by thousands of ColdFusion developers. 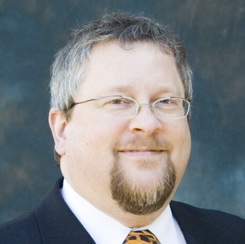 In addition to serving as a technical editor for numerous ColdFusion and Fusebox publications, Steve has also authored the book "Fusebox: Methodology and Techniques". Steve is no stranger to massive ColdFusion projects, sometimes managing and coordinating over 100 remote contractors simultaneously. Though he made and lost millions in the blink of an eye during the "dotcom era", Steve presently spends his days as a Senior Web Architect for WebApper, developers of the popular ColdFusion server monitoring tool SeeFusion. Mike Nimer is a Sr. Consultant with Digital Primates IT Consulting Group. Providing mentoring and development supports for clients around the world. Before joining Digital Primates Mike was a member of the Adobe ColdFusion engineering team. There he was responsible for the integration of Flex 2 with ColdFusion Server as well as many other current features of ColdFusion. Before joining the Adobe engineering team he worked for three years as a senior consultant with the Macromedia consulting group, assisting clients on-site with their architectural planning, code reviews, and performance tuning. With more than 6 years of experience in the Software Industry, I now work as a Lead Software Engineer in the ColdFusion Product team and am the senior-most member of the ColdFusion QE team. I am involved with ColdFusion from its 7.0 release. I have worked on various features of ColdFusion like CFThread, .Net Integration, Exchange Integration, ColdFusion Interfaces, ColdFusion Performance, etc. Before joining Adobe, I worked as Software Design Engineer for Test (SDET) at Microsoft. In Microsoft, I have worked on various teams such as Microsoft Visual Studio, Microsoft Pocket Word and WISP. I blog on ColdFusion at www.manjukiran.net. In my free-time, I get involved in various social activities that promote the betterment of the community. As Lead web Architect, Nat Papovich heads the development team at Webapper Services. He has been developing ColdFusion and Fusebox applications since 1998 and has architected dozens of custom web applications ranging from online futures trading sites and vertical industry portals to ecommerce and intranet web applications. Nat has contributed to the formalization of many popular Fusebox concepts and was instrumental in the release of version 3. In addition to being an active participant in the Fusebox community and in developing Fusebox specifications, he contributed to and technical-edited "Fusebox Methodology and Techniques", and is the co-author of "Fusebox: Developing ColdFusion Applications". He is also a regular speaker at CFUGs, conferences and events. Currently residing in Portland, Oregon, Nat can be reached at npapovich@webapper.com. Jeff Peters is a project manager for Operational Technologies Services, an engineering services firm in Northern Virginia. Jeff has been involved in system development and integration for 20 years, starting with the U.S. Air Force back when Ada was the next great language. ("Ada--all the power of C; all the clarity of...C!") He is also the author of several books on ColdFusion and Fusebox, and his articles have appeared in the ColdFusion Developers Journal, Pocket PC Magazine, and the CPCUG Monitor. His blog appears at jeffpeters.coldfusionjournal.com, and he maintains a site for Fusebox resources at www.grokfusebox.com. Square Pegs, Round Holes, and Big Hammers - Where Should This Code Go? Dave Powell has been doing graphics and web design since WAY back...ok...since '97 or so. Starting with print design for major retailers and manufacturers such as Target, Wal-Mart, JC Penney, The Banana Republic, Fruit of the Loom, Vassarette, and Peds. Not wanting to miss out on the dotcom "boom", he defected to a web startup company where he became an Art Director. Dave got tired of the developers breaking his designs, and so he picked up ColdFusion and never looked back. Seeking a bit of job security after the bubble burst (and the familiar halls of his alma mater), he returned to the University of North Carolina where he currently is an ERP implementation analyst, and still finds some time to develop applications using Cold Fusion and Python on the side. He also manages the Carolina Adobe User Group, which serves the UNC community, and is a member of the Triangle Area User Group. Announcing FusionAnalytics - "Seeing is believing"
As an employee at Allaire/Macromedia, Patrick served as a technical consultant on some of world's largest Web application projects at leading companies such as Bridgestone-Firestone, Clear Channel Communications, Cable & Wireless, Intuit and The United States Postal Service, among others. Upon leaving Macromedia in 2001, Patrick embarked upon forming his own software company, starting as an independent consultant for companies such as Napster and ProductionPoint Global Network, and later partnering with a group of former Macromedia consultants to form Webapper Services LLC. As a Founder and Lead Web Architect at Webapper, Patrick has lead his company in specializing in all aspects of Web application development, from programming and user-interface design, to architecture design and review, application debugging and deployment, and also including business strategies for the Web. Webapper has provided Web application expertise to premiere clients such as Ernst & Young, Sempra Energy, NASA, Visa and US Federal Government. Qasim Rasheed is a Senior Architect and Project Manager for INUDS Corporation working at National Institute of Environment Health and Science (NIEHS). He started his career as a ColdFusion developer in 2001 while working with a small consulting firm. He is an Advanced Certified ColdFusion developer and holds a Master degree in Computer Science from North Carolina State University, Raleigh. He also blogs occasionally about Software Development and Architecture with particular emphasis on development tools/tips at http://ww.qasimrasheed.com/blog. Over the past 8 years, Qasim has been solving real-world problems for the Federal Government and Commercial clients - using, exploring and integrating software engineering methods (SCRUM, CMMI) and tools including ColdFusion, Java, Flex, XML/XSLT, CMMI, UML/MDA and Test Driven Development processes (Selenium, CFUnit). He is very passionate about bringing in standards and design patterns into software development environment and has been an avid follower of various ColdFusion frameworks e.g. Fusebox, ColdSpring, Reactor, Transfer etc. When not working, Qasim enjoys spending time with his wife Humaira and their cute little son Ahmed. Brian Rinaldi is a programmer, Adobe Community Expert, manager of the Boston ColdFusion User Group and organizer of Flex Camp Boston. Brian is an Advanced Certified ColdFusion MX Developer, as well as a Microsoft Certified Professional. Brian is most well known for his efforts promoting open-source projects in ColdFusion, especially for maintaining the ColdFusion open-source list as well as the weekly updates, both of which you can find via his web site at http://www.remotesynthesis.com. Writing an RIA? Secure your data! Joe Rinehart has been designing and developing applications based on Adobe products for over ten years. By participating in the Adobe community, blogging and developing open-source development tools like Model-Glue, Joe has built a reputation as a leader in the Adobe development community. Published in magazines such as Dr. Dobbs' Journal and The Fusion Authority Quarterly Update, he's also a regular speaker at technical conferences such as Adobe MAX. Find out more by reading Joe's blog, Firemoss, at www.firemoss.com. Ajay Sathuluri is a senior web/database engineer and Instructor for TeraTech, Inc. He has been using CF since 1999. He specializes in ColdFusion application architecture and database design. Andrew C. Schwabe is currently the President of IEXP Software, LLC and is a veteran CFML developer since 1998. Prior to working with IEXP, Andrew worked for 10 years as the President and Chairman of the Board of Internet Expressions, Inc. He has been the forerunner in developing numerous applications ranging from the free - CFX_RawSocket (a Java Custom Tag for ColdFusion) - to FusionDox (enterprise-level document management). Andrew has been deeply involved in developing many of these applications from the ground up, enhancing and using the ColdFusion platform to its fullest potential. In addition to his extensive ColdFusion experience, Andrew has been recognized in the business community, receiving the coveted Dale Carnegie Highest Achievement Award. Robi Sen is currently the vice president of Department13 LLC an IT services company focusing on Fortune 1000 corporations and government organizations. Robi spends most of his time focusing on developing large enterprise scale applications and has spoken extensively on the topics of Enterprise Application Integration and Service Oriented Architectures. Robi has also been a long time contributor to the ColdFusion community and organized the first ever ColdFusion User Conference back in 1998. Since then he has continued to speak and write about ColdFusion, Java, XML, and Web Services. Bill has been programming web applications since the time CGI was considered really cool and Perl was the new language for the web. He currently holds an MS in Software Engineering from George Mason University and spends the better part of his professional time, solving real-world problems for the Federal Government - using, exploring, and integrating software engineering methods and tools, including, ColdFusion, Java, XML, UML/MDA, CM, Agile and Test Driven Development processes. He is a primary team member for the MXUnit project and is fortunate to have tolerant and loving wife and kids. Michael Smith is the President of TeraTech, a 20-year old Rockville, Maryland consulting company that specializes in web and database development. TeraTech has developed sophisticated data-driven web sites for a wide range of organizations, from corporations to government agencies. In addition to ColdFusion, the TeraTech team also have extensive experience in server tuning, security issues, Flex and SQL. Michael has been programming for over 25 years and has been coding in ColdFusion since version 1.5 twelve years ago. He obtained his MA and BA from Cambridge University, England and graduated in the top 10 of his year. Michael runs the Maryland ColdFusion User Group and organized many very successful CF events including CFUnited with over 800 attendees. Michael volunteers at ByteBack, a non-profit organization provides computer training for unemployed and under-employed inner city residents. Elliott is a software engineer at TeraTech, Inc. and the lead developer for the Conferences department. He has worked on a variety of projects that include network services, realtime messaging systems, survey processors and most commonly web applications. As a strong advocate of web standards and accessibility he volunteers his free time to help new developers learn standards and best practices. He is also proponent of design patterns and draws his vision about application design from experience with many languages that include ColdFusion, Java, ruby and php. Scott is a Senior Software Architect at Alagad. He has been working with ColdFusion since version 5 and has been a Macromedia/Adobe Certified Advanced ColdFusion Developer since ColdFusion MX. He has developed and fostered a passion for Flex, and her half-sister AIR. He is the author of Flogr, a Flex based ColdFusion log reader. Scott is also a blogger, author and frequent speaker at User Groups and conferences on various Flex and ColdFusion topics. Ron West is the Director Product Strategy, Professional Services for PaperThin, Inc. a leading Web publishing and content management vendor headquartered in Quincy, Massachusetts. Ron is a certified Advanced ColdFusion Developer and has been working with Web applications for more than 10 years. He is the former manager of the Boston CFUG and a former director of the Rhode Island CFUG. Ron is also an established writer for several industry publications and he presents at CFUGs and conferences around the world. Kurt is an Advanced Certified ColdFusion developer and has been working with ColdFusion since version 4.5. By day Kurt works for the American Academy of Neurology and by night he consults on web applications for small to medium size businesses. In his spare tech time, he is a member of the ColdSpring, Mach II, and CFHibernate open source projects. He recently started a open source project called, Appbooster, which aimes to show best practices for using several different frameworks with ColdFusion. Dan Wilson, principal partner of DataCurl LLC, began his IT career at a fast-paced start-up during the dotcom heyday. He has since then held senior program and development positions in Technical Consulting, Health Care, Online Publishing and Government Contracting. Dan is an avid participant in technology communities; currently serving on the board for the Triangle ColdFusion User Group in Research Triangle Park, North Carolina and regular contributor to open source projects based on ColdFusion, Flex and AIR platforms. 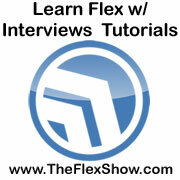 You can find his thoughts on ColdFusion, Flex, AIR and other technology matters at http://www.nodans.com. Dan spends a significant amount of time learning new technologies and techniques. He has taught and presented since 2001 after an invitation to design and lead courses in Web Development for established IT professionals at Metro IS. When not in front of a computer, you can find him biking, hiking, surfing and playing volleyball. Matt Woodward is Principal Information Technology Specialist at the Office of the Sergeant at Arms of the United States Senate in Washington, D.C. He is a Certified ColdFusion developer, has been working with ColdFusion since 1996, and blogs frequently about OO development and software architecture (http://www.mattwoodward.com/blog). In addition to his ColdFusion work, Matt also develops in Flex, Java, and C#. Matt is the release coordinator and a contributing developer for the Mach-II framework, he is on the editorial board of the ColdFusion Developer's Journal, and he also co-hosts the ColdFusion Weekly Podcast (http://www.coldfusionweekly.com).